It’s scary out there. Especially if you’re a teen. It’s a frightening world, and we live in troubling times. Globally, locally, even in the safety of our own bedrooms. It’s about to get a lot scarier. The Horror Writers Association and Simon & Schuster Books for Young Readers will launch “Scary Out There,” an anthology of all-original horror stories for young adults, written by an incredible line-up of world-class bestsellers. New York Times bestseller and multiple Bram Stoker Award® winner Jonathan Maberry has gathered together a veritable who’s who of A-listers to tell stories that explore what horror means to teenagers. BRENNA YAVANOFF is the author of FIENDISH, PAPER VALENTINE, THE SPACE BE-TWEEN, and the New York times bestseller THE REPLACEMENT. CARRIE RYAN is the New York Times bestselling author of THE FOREST OF HANDS AND TEETH. CHARLIE HIGSON is the international bestselling author of the YOUNG JAMES BOND series and THE ENEMY series. CHERIE PRIEST is the author of more than a dozen novels, including the award-winning CLOCKWORK CENTURY series from Tor, the CHESHIRE RED books from Bantam Spectra, and MAPLECROFT – book one of the BORDEN DISPATCHES – from Roc. CHRISTOPHER GOLDEN is a #1 New York Times bestselling author, Bram Stoker Award® win-ner, comic book writer, screenwriter and anthology editor. ELLEN HOPKINS is the New York Times bestselling author of several verse novels exposing teen-age struggles such as drug addiction, mental illness and prostitution, including CRANK, BURNED, IM-PULSE, GLASS and others. HEATHER BREWER is the New York Times bestselling author of THE SLAYER CHRONICLES, THE CHRONICLES OF VLADIMIR TOD and SOULBORN. ILSA BICK is a child psychiatrist, film scholar, unrepentant Trekker, former Air Force major and now a multiple award winning, critically acclaimed bestselling YA author. JOYCE CAROL OATES winner of the National Book Award, two O. Henry Awards, the National Humanities Medal and three-time nominee for the Pulitzer Prize. KENDARE BLAKE is the bestselling author of ANNA DRESSED IN BLOOD and THE GOD-DESS WAR. LINDA ADDISON is an award-winning author of four collections of poetry and prose and the first African-American recipient of the HWA Bram Stoker Award®. 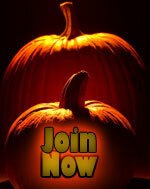 LUCY SNYDER is a Bram Stoker Award® winning poet and Black Quill Award winning short story writer. MADELEINE ROUX is the New York Times bestselling author of ASYLUM. MARGE SIMON is a Bram Stoker Award® winning poet and artist. NANCY HOLDER is a New York Times bestseller, multiple award winning author (including five Bram Stoker Awards®) , Young Adult Pioneer Award from RT Booklovers, appearances on NYPL Stuff for the Teen Age, ALA, and ARA lists; author and editor for comic book, pulp fiction and anthologies. NEAL SHUSTERMAN is the New York Times bestselling author of more than thirty award-winning books for children, teens, and adults, including The Unwind Dystology, The Skinjacker trilogy, Downsiders and The Schwa Was Here, which won the Boston Globe-Horn Book Award for fiction. R.L. STINE is the #1 international bestselling author of hundreds of children’s books including the GOOSEBUMPS, FEAR STREET and THE NIGHTMARE ROOM series. RACHEL CAINE is a New York Times and USA Today bestselling author, producer and screen-writer. 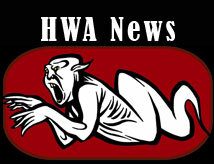 In addition, the anthology will include stores from the general membership of the Horror Writers Association (HWA). For more information, contact Jonathan Maberry at jonathan_maberry@yahoo.com. For more about the Horror Writers Association, visit www.horrorwriters.org, or @Horrorwriters on Twitter, or https://www.facebook.com/groups/Horrorwritersassoc/. Is there a due date? Word count? Theme? More input, Johnny 5! OMG! Want to know more!